Remember your card collections from your younger years? Get ready... you'll never look at it the same way again. 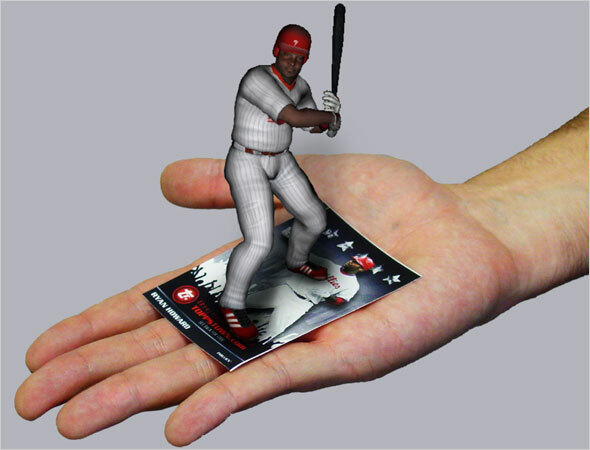 What do you get when you mix some classic baseball cards with the latest augmented reality technology? The best way ss to check these Topps' 3D live baseball cards on video. ... I wouldn't be surprised if we'll soon be able to play complete matches on our desks, placing each card on the right spot.